Genetic Auditing « Nothing in Biology Makes Sense! For those of you who don’t dabble* in genetics, we’re in the midst of a major revolution. New technologies have literally transformed the questions we can ask and the data we can gather. It is currently possible (although not always advisable) to collect hundreds of gigabases (that’s 10^11) of data in a single run of a “high-throughput sequencer” (HTS). As a reference, I think there were 10^5 bases in my entire master’s thesis which, let me do the math, means one run on a HTS is equivalent to 1,000,000 of my theses?!?! Although that makes me a little queasy, it’s obvious and amazing progress. Anyway – what can we do with these awesome new technologies? Coghlan et al. have found novel use, published in a recent PLoS Genetics. "Bear Bile Crystals". One of the samples genetically audited for illegal and harmful components. From Figure 1 of Coghlan et al. (2012). Traditional Chinese medicines (TCMs) have been used to remedy maladies for thousands of years. The popularity of TCM as a primary, secondary or supplementary medical practice has grown to the point where it is a multi-million dollar industry. TCMs rely heavily on plant and animal components – some of which can come from highly endangered (and thus illegally acquired) species or be harmful to the user. However, determining exactly what’s in a pill or powder isn’t as easy as reading the label. Coghlan et al. genetically analyze 15 TCMs that were seized by Australian Customs and Border Protection Service. They target one animal and one plant marker and “genetically audit” the samples by sequencing the heck out of them using a bench-top HTS, the Roche GS Junior. Their protocol produced 49,000 sequence fragments. They then compare their sequences to large databases containing sequences of known origin and thus, identify what’s in the TCM. Additionally, the authors claim that the whole shebang cost approximately $35/sample. Of course, they qualify that expense with “excluding labor” and “after an initial outlay” for (presumably) expensive reagents (individually tagged primers). The data identify at least 68 plant families and eight animal genera (excluding humans) contained in the 15 TCMs. Liquorice root, mint and ginger were the most commonly found plants; liquorice root is a particularly important herb in TCMs that was recently found to contain anti-diabetic properties and faces extirpation across part of its range. Coghlan et al. also found close genetic matches to the genus Ephedra, a plant that can contain potentially toxic substances. Another genus, Asarum, was found in four samples and some of its species contain a kidney-toxic, blood-toxic, carcinogenic acid. Many plant taxa that potentially contain medically important compounds were also found in the sample – however, the authors point out that further analysis is required to diagnose which species are in the sample. They recommend adding a metabolomic approach to future studies to identify the actual compounds in the sample. For instance, just because the cashew plant shows up in a genetic analysis doesn’t mean the cashew nut that can cause allergic reactions is in the sample – the genetic signal could come from leaves or bark, etc. What a great and goofy looking antelope! 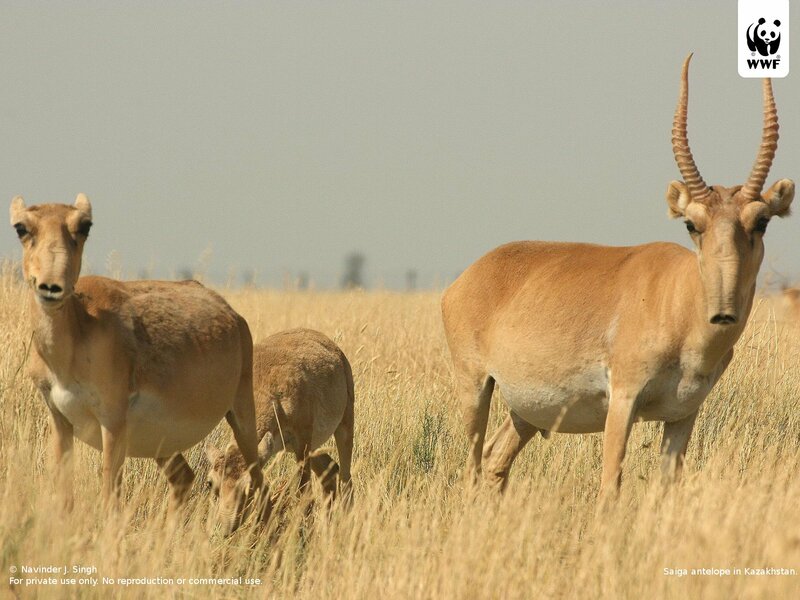 Apparently, they are critically endangered due to habitat loss and hunting the males for their horns. Sure enough, TCM-011 contained Saiga Antelope plus some secret ingredients not on the label: goat and sheep. Three of their samples contained another endangered species, the Asian black bear, and the remaining vertebrates identified were toad, deer, buffalo and cow. Coghlan et al. do a thorough job of reminding us of the caveats of their methodology. Just because there’s genetic evidence of an organism doesn’t mean the active ingredients associated with it are in the TCM. This can be a good thing or a bad thing, depending on what you think you’re paying for – a desired ingredient or an unwanted toxin. They also point out that there are certain amounts of error with database-based methods, which are inherently as accurate as the underlying data. The good news is that databases are constantly improving and sequencing is constantly getting cheaper. Overall, I think the methods of this paper are pretty straightforward and the results are more or less not surprising. The potential for these types of methods to protect the public and identify illegal or dangerous materials in “medicines” or “supplements” is appealing. Perhaps one day all Customs offices across the globe will have desktop high-throughput sequencers that ID illegal substances in real time and issue arrest warrants in one step. What? A girl can dream, can’t she? *Dabble = Devote your life to. Coghlan M.L., Haile J., Houston J., Murray D.C., White N.E., Moolhuijzen P., Bellgard M.I., Bunce M. (2012) Deep Sequencing of Plant and Animal DNA Contained within Traditional Chinese Medicines Reveals Legality Issues and Health Safety Concerns. PLoS Genet 8:e1002657. DOI: 10.1371/journal.pgen.1002657.t003. This entry was posted in conservation, genetics and tagged high-throughput sequencing, traditional medecine. Very cool post, HIrd. I think this is a wonderful example of how advances in sequencing (by which I mostly mean sequencing more for cheaper) can directly benefit the public. As you alluded to, the biggest issue with alternative medicines such as TCM has been that we can’t know what all is them. Maybe by getting the word out about what they actually contain we can deter people from spending their money on this rubbish. At least if we can’t appeal to their logic, we can use science to appeal to their emotions (aversion to using strange ingredients and endangered species). Wow great article! You just don’t know what you are actually putting in your body sometimes! Thanks for sharing.